Tree Removal Newberg | Mr. Tree, Inc.
For tree removal Newberg has trusted for safety and efficiency for since 2000, Mr. Tree, Inc. is the call to make. We offer 24/7 service, including emergency tree removal, commercial, and industrial tree removal, as well as residential tree services. We have a certified arborist on staff to advise on trees that you aren’t sure of. We help you decide if they need to be removed or if it is possible to save them. From planning to execution, we are here for every detail. Our tree removal professionals can help select which trees to take away, on large projects such as forest management. We are able to safely remove specific trees, even when they are in close quarters to others. We have the heavy duty equipment and the expertise to use it well. Stump grinding is suggested to ensure a thorough cleanup of the site after the tree is removed. You can count on us to remove a single tree or multiple tress without threat of harm to any power lines, structures, or other foliage in the area. Our experienced tree removal professionals each has the personal experience and training to expertly carryout the project. If you have any concern that a tree may pose a threat to your home or business give us a call. We can help you assess the threat and advise you on whether it is best to remove the tree or not. If a tree needs to be thinned out, we are able to trim specific branches and limbs that will secure the tree. However, if you do need emergency tree removal in Newberg, we can be there quickly and efficiently remove the tree before it does damage. 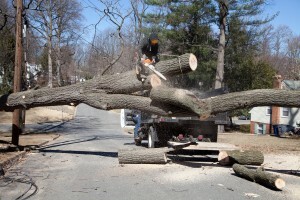 If a tree has already fallen, our professionals take it apart and remove the tree without any further damage. Commercial tree removal Newberg trusts comes from those companies who offer knowledge of the full process. That includes being able to advise on the planning process as well as taking safety considerations into account as well as what will achieve the best desired outcome. Our professionals are friendly and knowledgeable in every aspect of commercial tree planning and removal. We are here to support you from creating a plan to carrying it out. Industrial tree removal requires excellent planning and the experience to know how to carry it out. We have the equipment, resources, and experience you can count on. We are OSHA approved, licensed, bonded, and insured for your peace of mind. We offer full-service logging, excavation, and lot clearing so you can use your land for whatever you have planned. 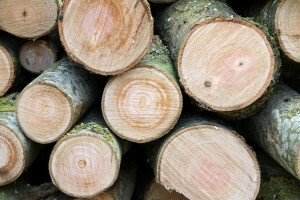 Contact us when you need commercial, residential, or industrial tree removal Newberg relies on for quality.